Parents and schools underestimate the importance of imagination and creativity. 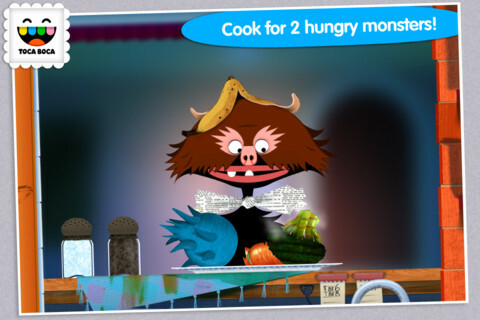 Apps can help to fix that, says Emil Ovemar of 'digital toy' company Toca Boca. 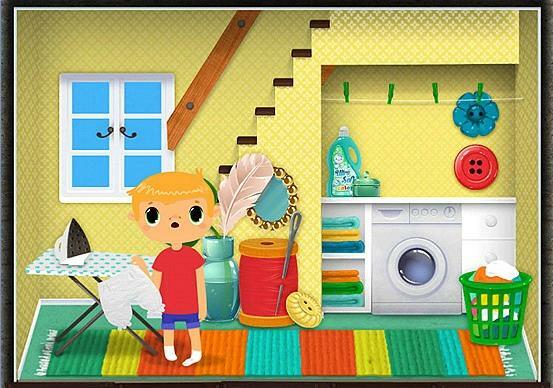 Toca Boca doesn't make apps, it makes "digital toys", says Emil Ovemar, one of the producers at the Swedish company behind such titles as Robot Lab, Hair Salon and Toca House. Whatever you want to call them, Toca Boca produces things that will enchant and enthrall young children. Hair Salon allows you to pick a visitor and then cut, style, wash or blow dry their hair. Children learn to read the reactions on the faces of their cartoon-character customers and to stick with a task. 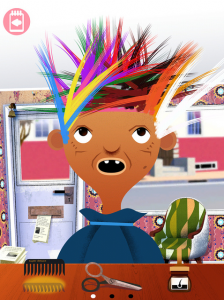 "In the beginning we thought the characters should ask for a certain haircut," says Ovemar. "We came to the conclusion that we should just give children the tools to create whatever they want instead of giving them a specific goal. By giving them the tools and nudging them we awakened their own desire to be creative instead of setting goals and awakening possible frustration with their skills. This is the difference between games and toys." 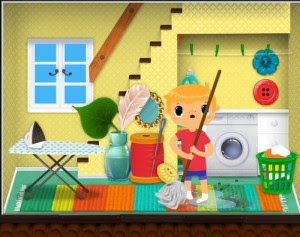 Toca House lets children join in with a range of household chores, such as putting away groceries or cleaning the floor. Robot Lab is a mix-and-match robot builder; create your robot and then fly it through a maze, collecting stars as you go. 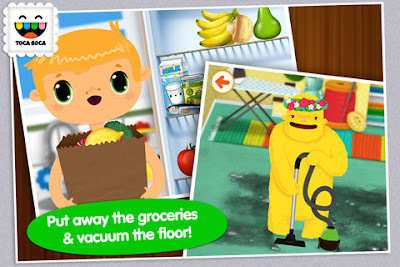 The latter is probably the least open-ended of Toca Boca's games but it still offers plenty of opportunity for exploration and the learning-by-doing approach that the company typically takes. Mr Ovemar says: "The most important goals for us are stimulating childrens imagination and desire to be creative. The importance of being able to use your imagination and creativity is something I think parents and schools underestimate. We believe playing is the best way to learn about the world and life. "We also believe that playing together is a beautiful and important part of life so therefore we try to design products so that even parents find interesting." Of course, parents often worry that their children are spending too much time in front of screens, whether it's television, computers, tablets, smartphones or games consoles. "I don't think the term screen time is relevant any more. It's not about the screen, it's about what you do with it. Watching video, playing videogames, reading a digital book or playing with a digital toy is not the same thing," says Mr Ovemars. He adds: "Of course children should not just play with screens but there are positive things that the iPad for example comes with. Try to find a balance but always show interest in the things your child is passionate about is my best advice. If you try digital products that are more like toys instead of games you might find that screen time can be something positive."